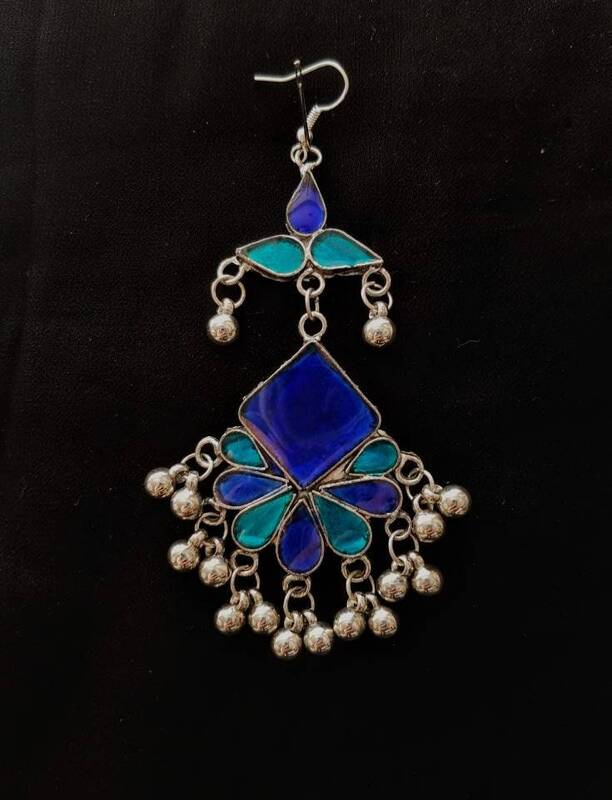 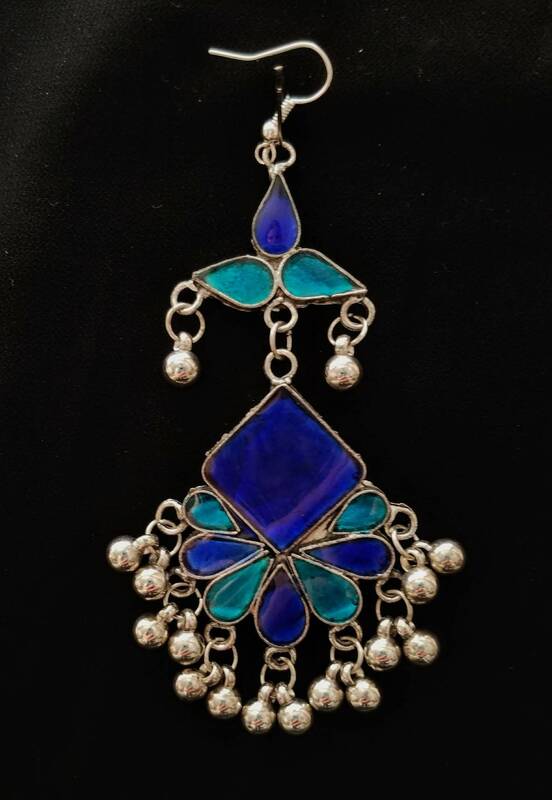 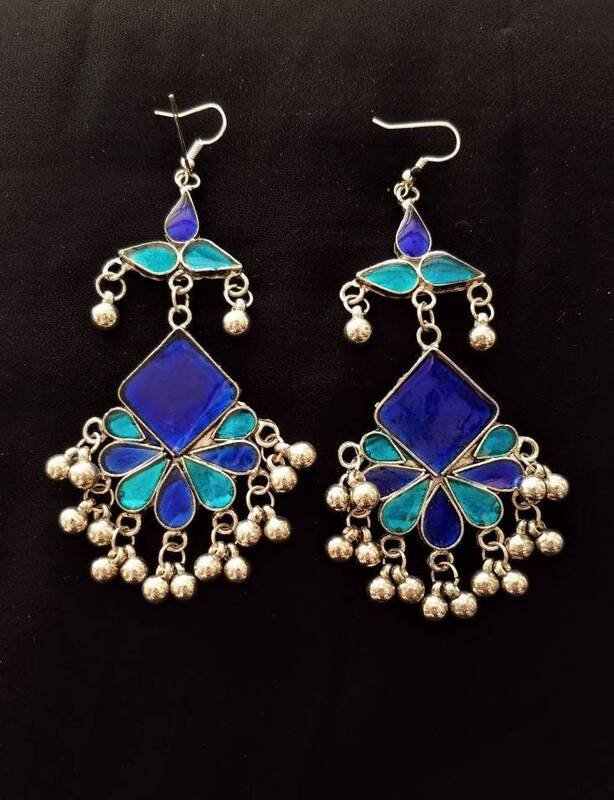 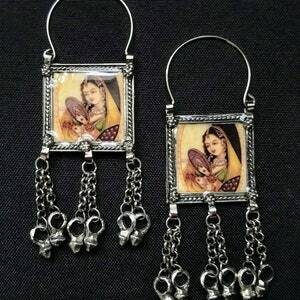 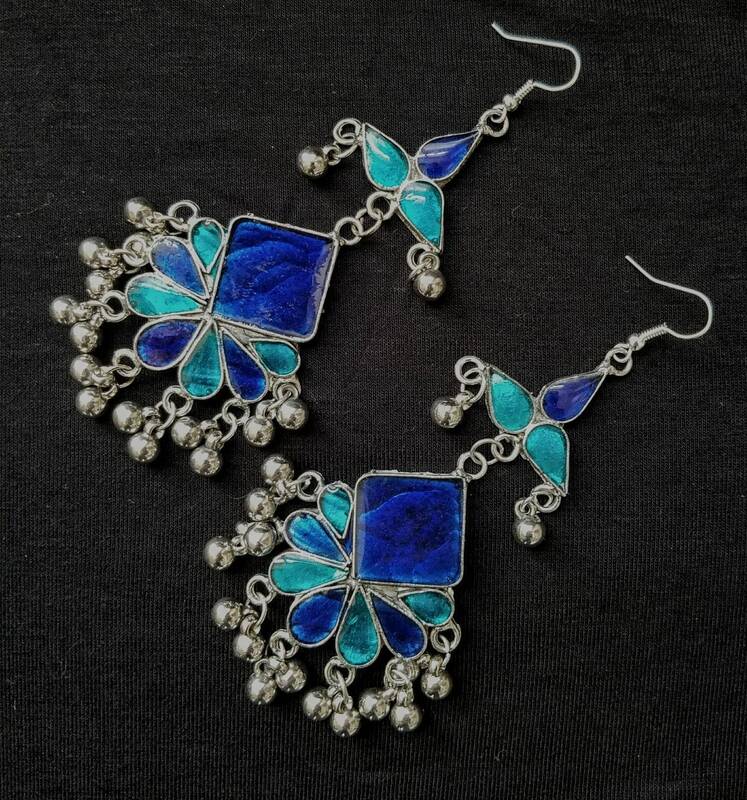 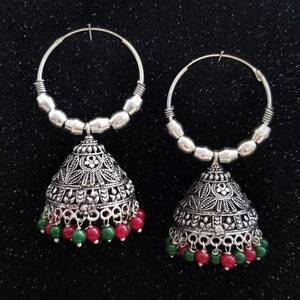 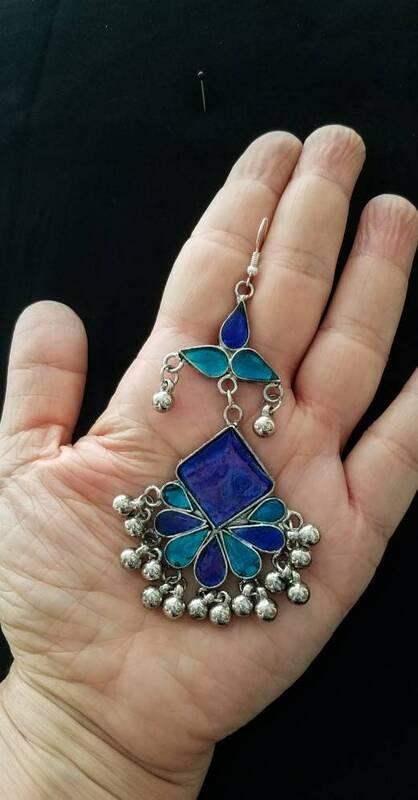 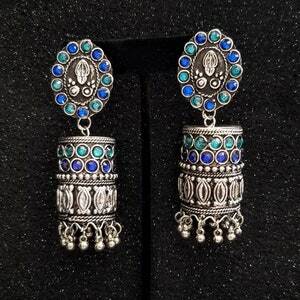 Be noticed wearing these stunning Afghani drop earrings in two shades of rich, vibrant blue. 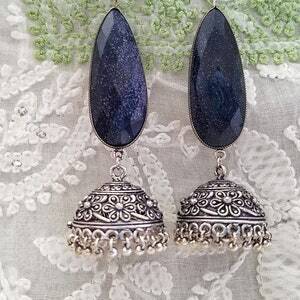 In oxidized silver with enamel accents. 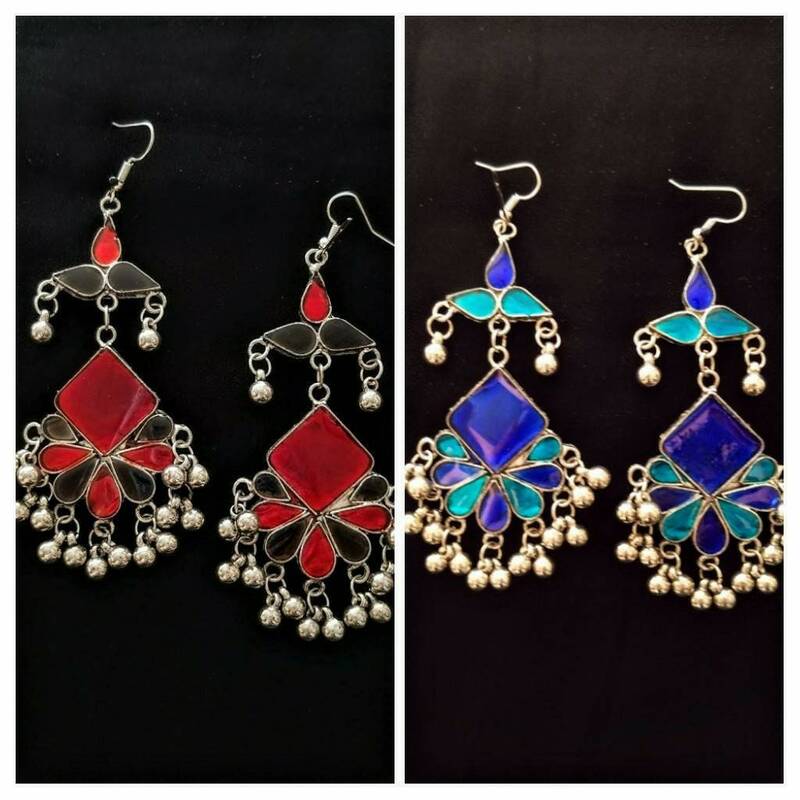 Lots of color and flash and movement! 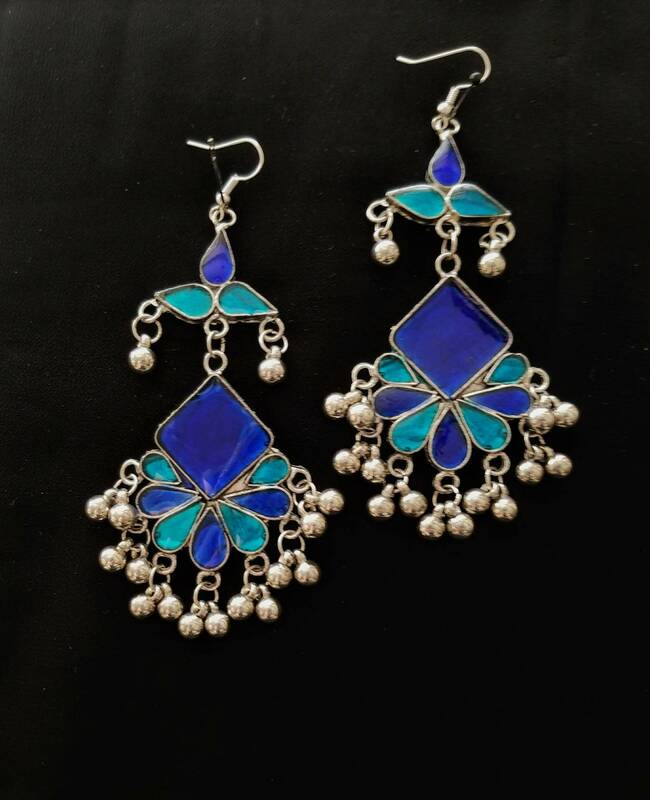 Depending on the light, one can see a pattern in the enamel.